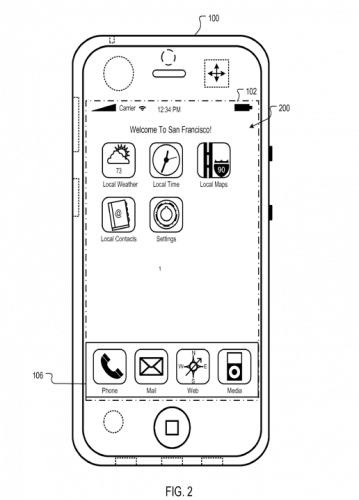 A recent patent filing made by Apple suggests that the iPhone could provide a customized home screen depending on the current user location. 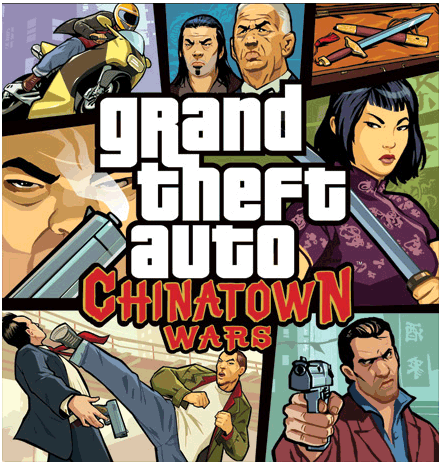 The filing was revealed by the U.S. Patent & Trademark Office this week. The filing was dated February 21st 2008 for “Transitional Data Set”, it describes an invention that would display specific applications populated based on dynamic factors such as location. In April it was rumoured that the iPhone 3GS would be able to play 720p and 1080i HD video via the Apple AV Cables. When the device was finally released it was found that the video still played like its predecessors only supporting SD 2.5Mbps MPEG 4 or H264 video. But this turned out to a set limit by Apple, possibly to save the battery life of the device or to keep the old iPhone videos working on the new 3GS model. A user of the Chinese website WeiPhone did a lot of testing with the iPhone 3GS and they discovered that it can in fact smoothly play HD video at 30Mbps at a 1080i (1980×1080) resolution. This was achieved by uploading various HD movies to the iPhone 3GS using the program FileAid and then running them via the iPhones built-in video player. Playing back HD video on a iPhone is very useful on the small screen and the battery usage would drain a lot quicker. However is you used Apple’s Component AV Cables and it would be possible to run HD video from the iPhone. 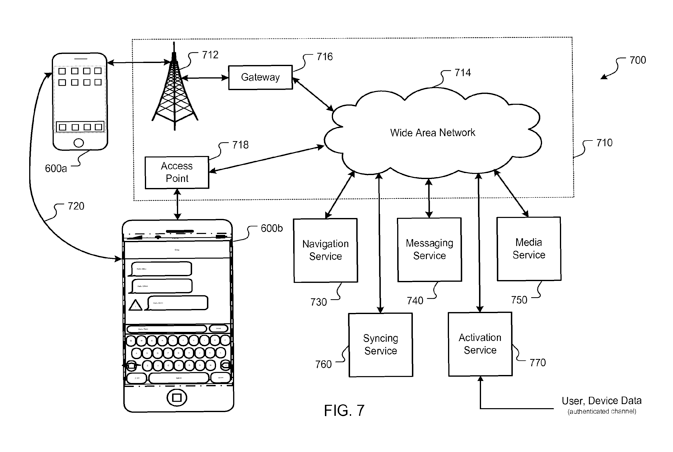 Apple has a new patent titled “Auto Messaging to Currently Connected Caller.” This patent focuses around the idea of sending documents, emails, text messagess, files, etc. to the person who you are calling. While a user of a mobile device is using telephony services, the user may want to send a message or a file to another part . . . To send this information, the user may have to disconnect the call, and then perform a lookup of the caller’s contact information prior to being able to send the message or file. This multi-step process can be tedious for the user. The data could be sent through various network types like GSM, GPRS, Edge, Wi-Fi, WiMax and Bluetooth. Apple’s interface would provide users with a way to access all the file sharing features while on call the system would be capable to directing the various types of data correctly all at once. Apple is doing a lot of looking into file sharing technology for it mobiles. 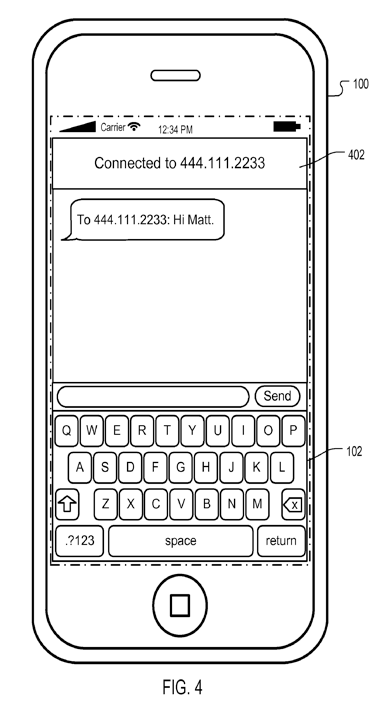 A similar patent that AppleInsider discovered in June details how an iPhone could share media like music, video, podcasts, images, voice mails with other iPhone users. 8GB iPhone 3GS Possible Soon? Many reports have shown that there’s a chance of a 8GB iPhone 3GS model soon. 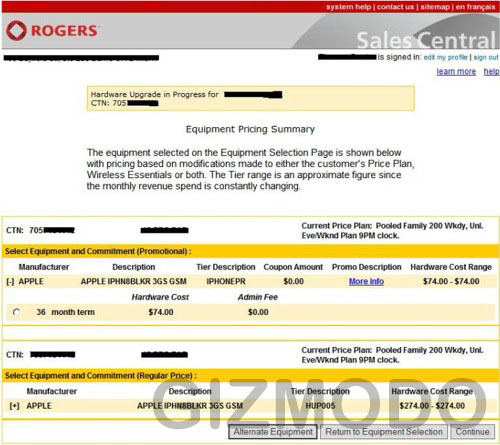 The 8GB model was found on Rogers Wireless internal sales system, however Rogers quickly said it was an error. 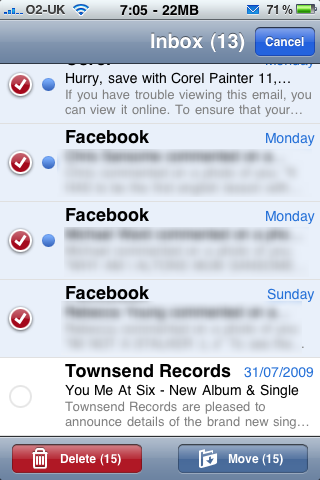 However a few days later, the 8GB 3GS reappeared in the system.